Pilatesology Instructor Andrea Maida (check out her Advanced Mat here or visit her in San Diego: www.pilatesandrea.com) has some wonderful things to say about hearts and Pilates. This is one thing you don’t have to buy today, you can simply appreciate how good Pilates is for your heart, no greeting cards required. Thanks Andrea, we [heart] you! 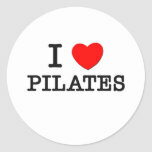 Pilates does wonderful things for your heart muscle. Helpful things to have when approaching your Pilates workout. Perhaps one of the most ‘memorable’ of the Pilates exercises is the Hundred (100). One of the first exercises one learns as a Pilates student, 100 is ever-present, lengthy and challenging to do well. This exercise uses the vigorous pumping of the arms from your strong center and deep full breathing to warm up the body, getting the blood circulating (heart) and squeezing stale toxic air out of the lungs. or What’s not to love about quality House Keeping? You are moving and hopefully sweating. Remember it is a workout! Contrology is Joe’s original name for his method. Check out this NYT article for a play-by-play at the cellular level!